From a very young age, Will Pocock, now 29, has dealt with constant ear infections. Despite getting new tubes, his recurring condition saw him in several emergency rooms while travelling with his family. Mom Kate Pocock, a family-travel author, says her son’s susceptibility to infections, as well as rashes, forced her to become better prepared for flare-ups before boarding a plane. Pocock, who has made many trips to foreign doctors’ offices, clinics and even emergency rooms, says she doesn’t leave home without her trusty medical dictionary—in the event she needs to better communicate symptoms to doctors. And, her best advice: don’t leave home without good medical insurance. Before travelling to non-English speaking areas like Belize and Tunisia, she also consulted the IAMAT (International Association for Medical Assistance to Travellers) medical directory, which lists clinics and doctors around the world who can treat patients in English. These tools have served her well when Will ran a high fever in Zürich, Switzerland. Travellers, like Pocock, who must travel with medications, or have a pre-existing medical condition, should arm themselves with a plan—including preventive and emergency measures—before leaving the country. Losing a medication or aggravating a medical condition could sidetrack a trip or, worse, put you in the ER in a foreign country, where prescription drugs are formulated differently or access to health care limited or substandard. One way is to take Pepto-Bismol to kill germs in food, she says, which can reduce diarrhea by up to 50 percent. Or they’re encouraged to take probiotic capsules to coat the intestines and strengthen the bowel, as well as an oral vaccine to prevent E. coli, which can lead to diarrhea. Travellers with diabetes have other challenges, says Asgari-Pour. For example, “Their concern is taking insulin and noting the time changes.” She advises diabetics carry double doses of insulin and medications in different carry-on baggage in case one gets lost. While those with medical conditions can face challenges while travelling, they’ll also need to note possible security restrictions for carrying and packing their meds. According to the Canadian Air Transport Security Authority, medication and medical equipment such as syringes and defibrillators are permitted in carry-on baggage. However, the authority encourages medical documentation like a clearly labelled prescription and/or a doctor’s letter to explain and support a medical condition and the need for medicine. Ask your physician for enough medication to last your entire trip. Your doctor may give you an additional dose in case of lost luggage or an emergency. Store essential medication in two different pieces of hand luggage in case one gets lost or stolen. 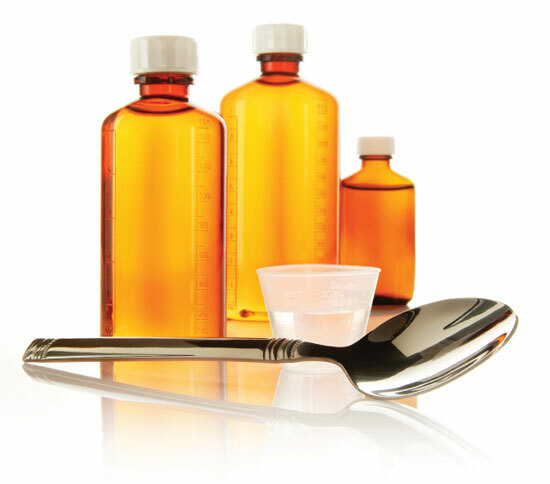 Check to see if your medication requires refrigeration; then make arrangements to keep it cool. Ask airline staff to store it on long trips, order a mini fridge for your hotel room. Keep medications in their original containers; ensure prescription meds are clearly labelled with with your full passport name, prescribing physician, name of medication and dosage. Also carry a copy of your original prescription. Check if your medication is allowed in the country you’re visiting. Pain medications, dietary supplements and some herbal and homeopathic products may be illegal in some countries or require a prescription. The Foreign Affairs department advises travellers contact the Foreign Government Offices Accredited to Canada of the country you’re visiting to confirm the status of your medication. If medicine requires the use of needles or syringes, get a note from your doctor explaining why they’re needed. Check regulations of country before you travel and consult your air- lines about carrying and disposing of needles while travelling. Travel only if your condition is stabilized. Consider the activities during your travel; talk to your doctor about limitations. Ask your doctor if you’ll need certain vaccinations to prevent disease that can aggravate or worsen a pre-existing condition. If you have a pacemaker, implant or other medical device, advise screening officers in case it interferes with metal detection equipment. Take preventive measures for conditions like traveller’s diarrhea or chest infections, which can trigger symptoms of an existing medical condition. Carry with you a list of your medications, dosage, blood type and emergency contact person. Buy a good travel insurance plan that covers emergency medical situations. Check out the IAMAT (International Association for Medical Assistance to Travellers) website for a directory on English- and French-speaking doctors abroad.